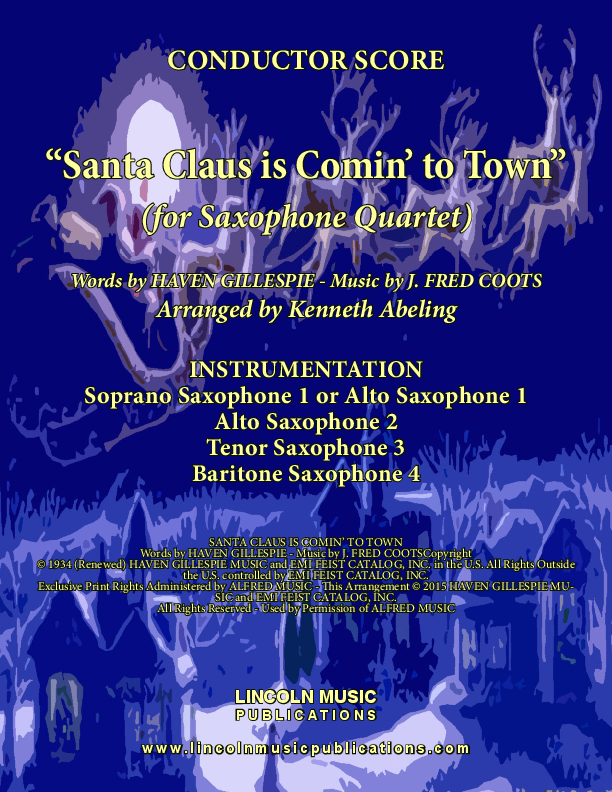 “Santa Claus is Comin’ to Town” for Saxophone Quartet is a Christmas favorite. This arrangement features lively soli and tutti sections to show off your ensemble and is certain to entertain your audiences! Both Soprano and Alto for Soprano parts are included.